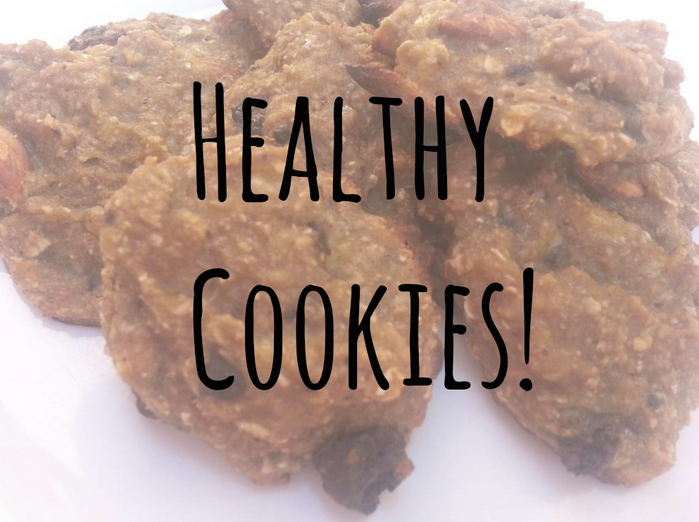 Chewy Banana & Oats Cookies | RAWR BOWS. This recipe is fool-proof. It's too easy to be true. First preheat the oven at 240 degrees celsius. Take two cups of oats and using a blender or a food processor blend them until they look like flour. Blending them is not necessary, just optional, you can use regular oats if you want. Then smash two medium bananas and mix everything together. Then add some cinnamon and nuts to add some crunchiness. If you want, you can add dark chocolate chips as well. Place the mix on a baking tray with some non-stick oil, reduce the oven temperature to 180 degrees and bake the cookies for around 20min. They taste amazing, unless you don't like bananas of course, and they are healthy as there is no added sugar or weird chemicals. They are perfect to have for breakfast or as a sweet snack! If you try them let me know in the comments!